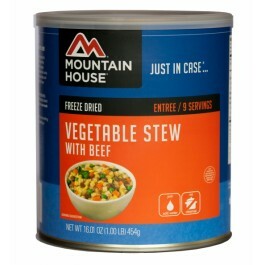 Vegetable stew with beef from Mountain House is an excellent addition to any food storage program. Whether you’re stockpiling food away to be ready for a major disaster, or you just want to have the food available to you, this stew will be a perfect addition. 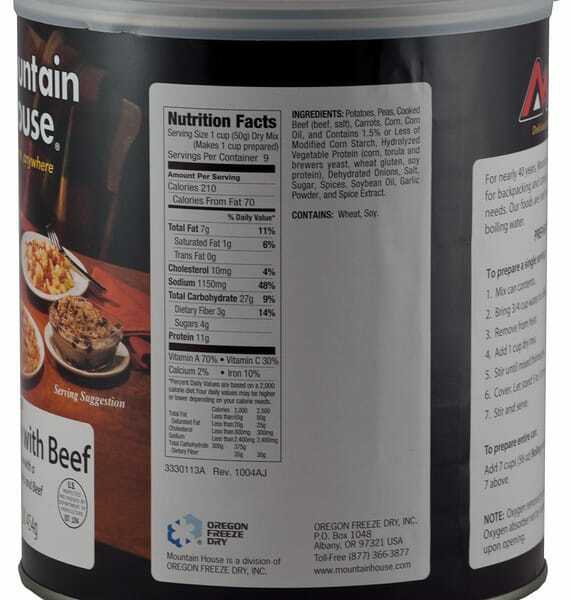 The #10 size cans are a great size, and very easy to stack away in any pantry or other storage area. 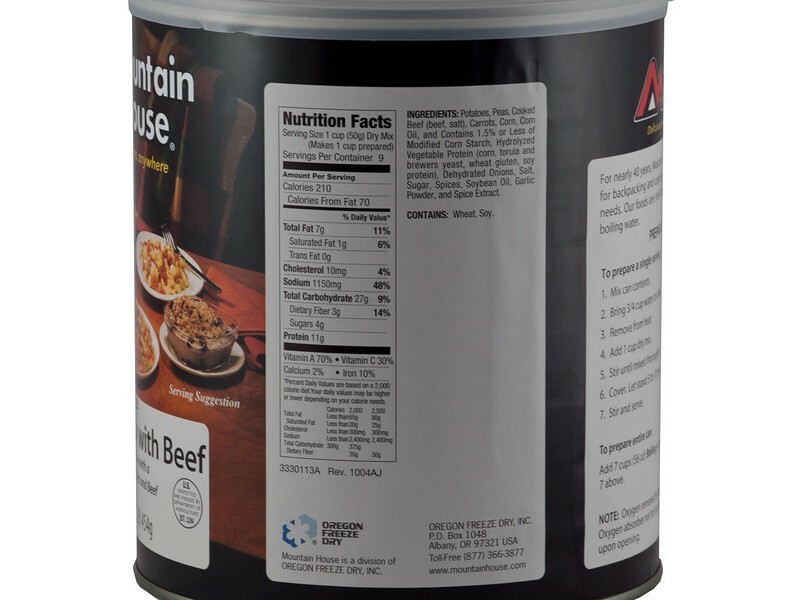 Each can holds 9 servings of 1 cup each, which is more than enough for a whole family to eat. You can store the vegetable stew for 25+ years without a problem as long as it is unopened. Even after opening it, you can store any remaining stew for a couple weeks as long as it is kept sealed. 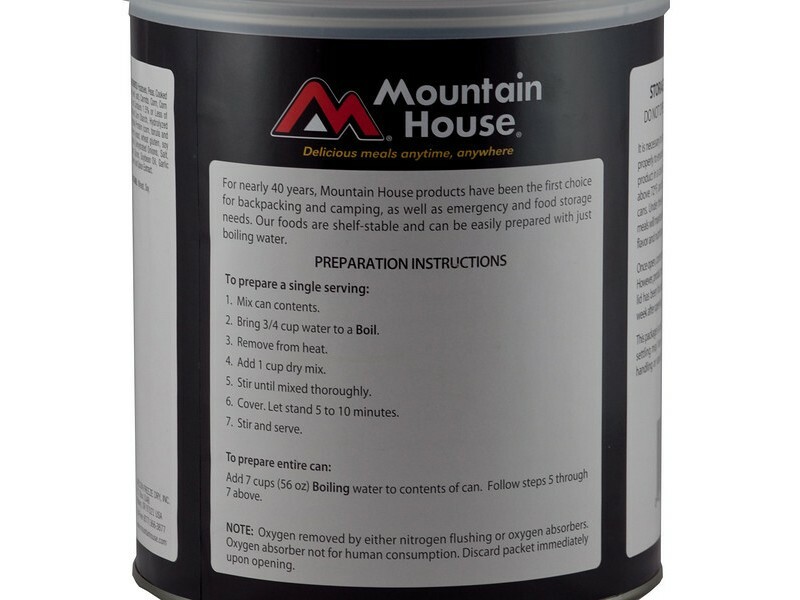 This long shelf life is just one of the many things that make it a very popular choice for people who are looking to be prepared for anything. 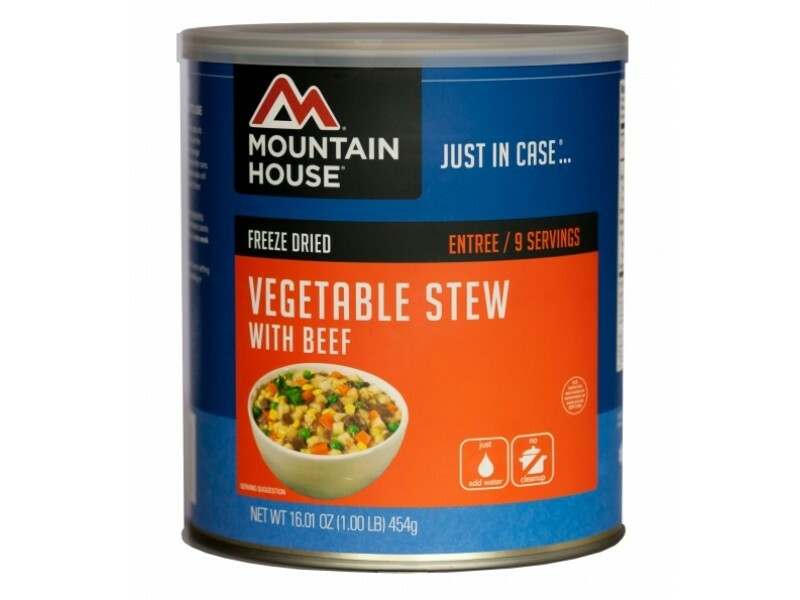 Whether you buy one can or dozens, you’ll be glad you have this delicious vegetable stew with beef available to you when you need it. The great tasting recipe for this vegetable stew includes a medley of garden vegetables, which are extremely important to help keep you healthy. When you’re facing any type of stressful or difficult situation, you want to make sure you’re getting all the vitamins, minerals and other nutrients that you need to stay strong, and that is just what this meal will provide you. It is an excellent recipe that was designed to taste great, be great for you, and last for years without a problem. Buy one can to enjoy, or stock up so you have enough to last you for weeks. Whatever you plan on using this great food for, it will be great that you have it if the need ever arises. 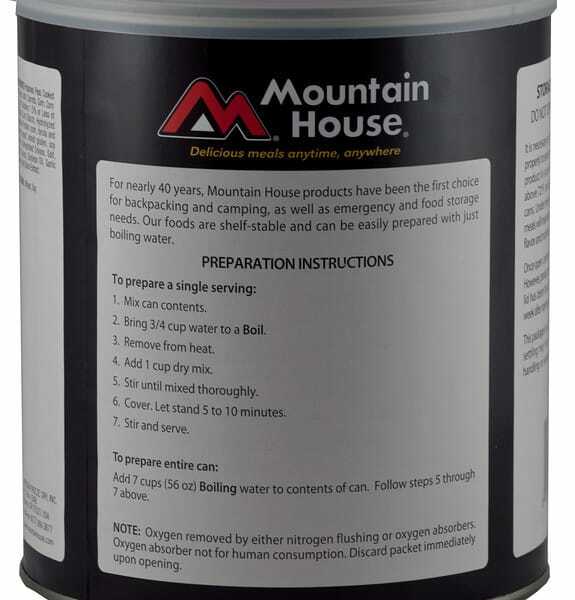 So order today to expand your emergency food stockpile quickly and easily. One can contains 9-1 Cup Servings.